Ginny Sorensen doesn’t shy away from asking tough questions. She’s found that it opens lines of dialogue and creates space for diverse groups to explore ideas and harness conflicting views for better decision-making. An experienced leader, mentor and supervisor, she brings people together, and she’s not afraid to do things differently. Ginny’s career has been shaped by her ability to understand how all of the pieces of a complex organization come together. Over the course of 12 years in nonprofit program management at Oregon Food Bank, she led teams of people working across the state on education, healthcare partnerships, food systems and food distribution initiatives. She revamped programs, built new ones, expanded old ones, closed ineffective ones and worked with hundreds of community organizations to address hunger and its root causes. 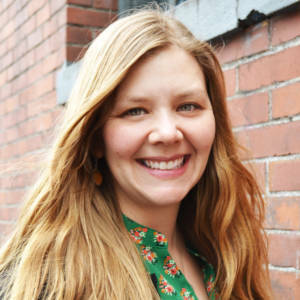 Ginny holds a master’s degree in educational leadership and policy from Portland State University and a bachelor’s degree in French from Willamette University.